Home to Sweetwater Union High School District’s School for Creative and Performing Arts (SCPA) and one of the largest environmentally friendly performing arts venues in San Diego County, the Jack Tygett Performing Arts Center at Chula Vista High School came about as a result of the “Proposition O” Construction Bond. 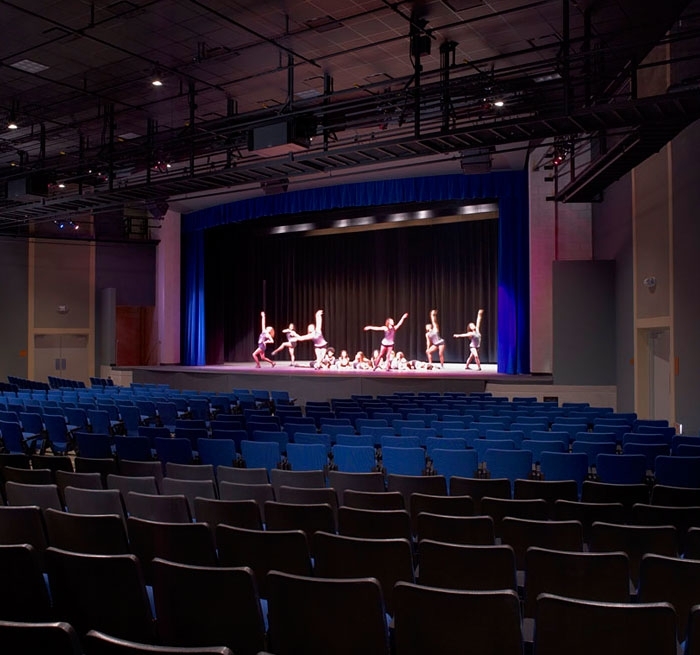 Providing full-scope theatre and audio-video consulting for the 690-seat multi-purpose facility, Auerbach Pollock Friedlander worked with Bunton Clifford Associates to create a flexible multi-purpose space to meet a tight project budget. In order to accommodate the many uses of the room, Auerbach Pollock Friedlander designed the space with a flat floor with removable seating. The room can be configured for proscenium, thrust or arena theatre forms for school dances, banquets, assemblies and community events. 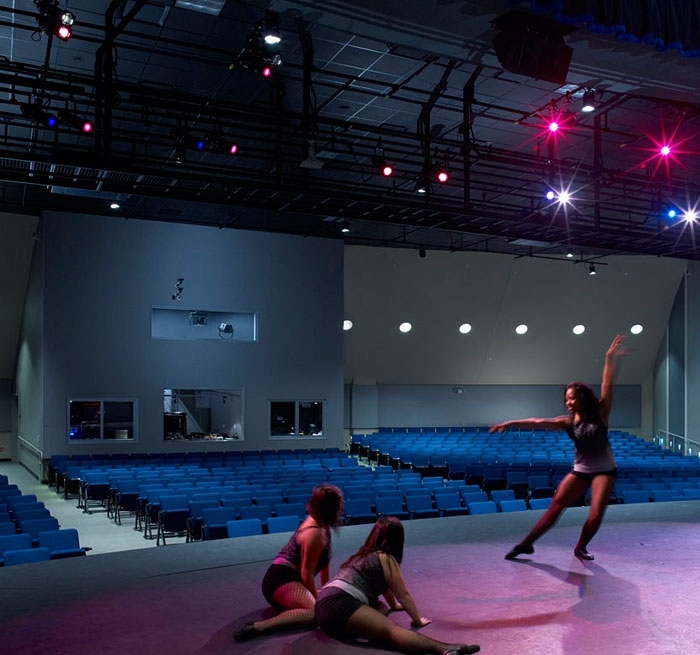 The space was designed with a fixed end stage equipped with technical supports for theatrical and musical productions including tension grids, rigging and a full complement of audio-video equipment and infrastructure. The project is LEED Gold.